(VOVWORLD) -The UK’s new Foreign Secretary Jeremy Hunt has warned that the relationship between the UK and the EU may be harmed if the UK leaves the EU without a deal. 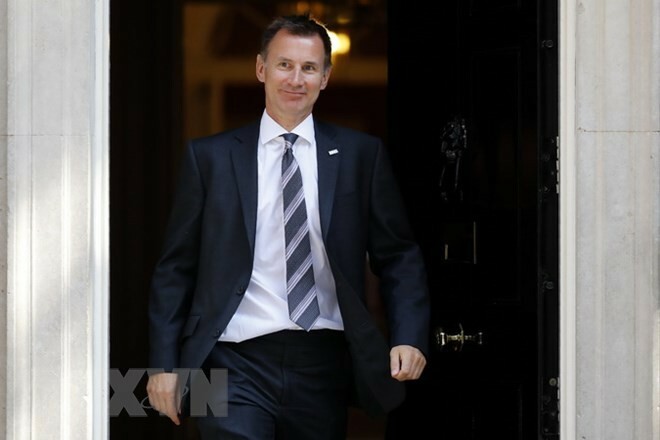 Speaking to the press after a meeting with his German counterpart Heiko Maas in Berlin on Monday, Mr Hunt warned that without a "change in approach from the EU negotiators", it will be difficult for the UK and the EU to maintain their trade and security relations. He expressed concern that there is now a very real threat of ending up with no Brexit deal, which could alter the British public’s attitude toward the EU for decades. The UK is due to leave the EU on 30 March 2019. Both sides want a deal in place by October so the Parliaments of member countries will have enough time to approve the deal. But the Brexit talks still have many unsolved problems. The EC has warned its members that they should be ready for a no deal scenario.